‘Our Open Houses are perfect opportunity to discover how student-centered learning is conducted at St Kabir School Naranpura. Open House was all about verbal and practical assessment and Hands-on activities, of all the students in front of their parents. 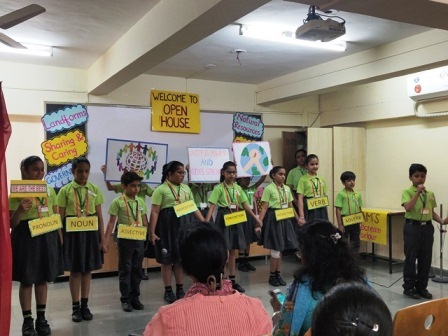 St. Kabir School Naranpura Organized Open House’ for the students of Std. I to IV from 22nd March 2019 to 26th March 2019. 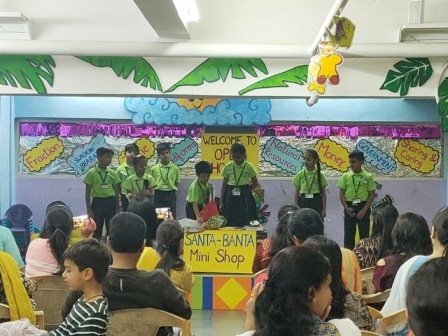 The students performed Theater activity on different topics like Time, Swach Bharat, Sharing and Caring, Fractions, Landforms, and Many more which helped students to awaken their inner dramatist, build confidence and overcome mike fear. 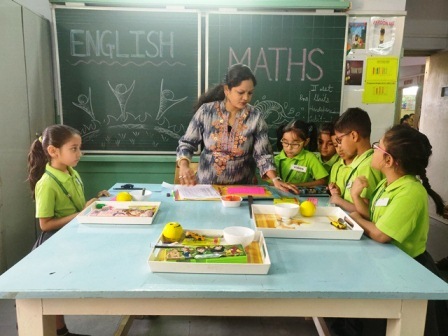 All the subjects like English, Math’s, Hindi, E.V.S., and Gujarati were covered in the Open House. E-learning was also a part of Open House. These all innovative activities were specially designed to develop communication skills and applicability of the theoretical and practical knowledge. Parents were not previously informed about the Theater Activities and Hands- on activities. So, it was surprise package for them which they appreciate whole heartily. On the whole, the parents who attended the Open House were very happy and impressed by the wide range of activities preformed. This really helped children develop themselves in multiple areas.